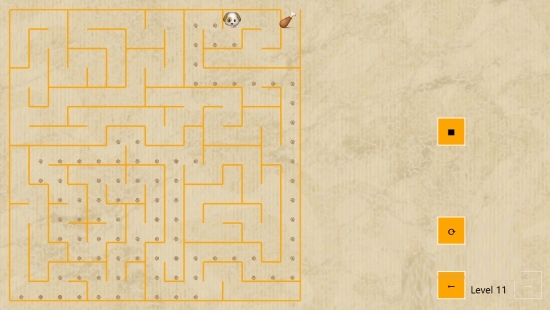 Dog Maze Race is a free Windows 8 Maze Game. 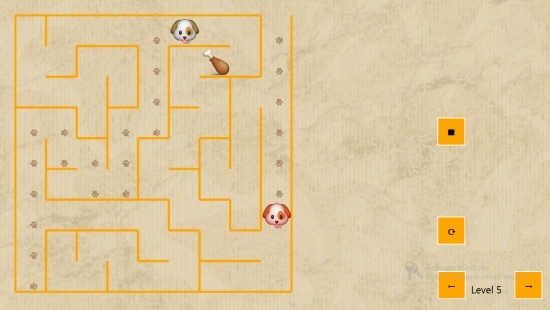 In this game, your aim is to take the dog to the bone which is present in the maze. The game has 3 modes, each having 25 levels, and they all have a gradually increasing level of difficulty. The user interface, background sounds, and overall effects used in the game makes it more interesting for the user to play the game. 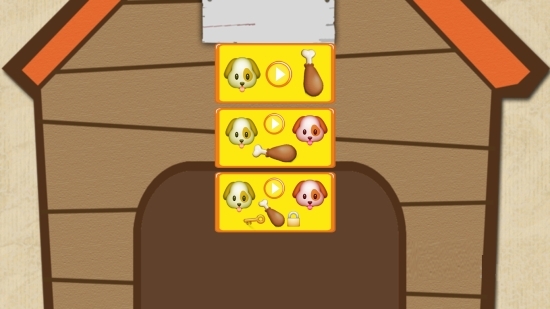 Dog Maze Race uses easy controls. The game is freely available in the Games category of the Windows Store. On the main landing page of the game, there are options available to choose the mode to play the game. Each mode has 25 levels to play. Mode 1 is more of a practice mode. In this mode, a bone would be shown to you somewhere in the maze. The dog has to reach the bone. There are no other things in this level. Just practice your path finding skills in this level. Try to minimize your steps to reach the bone in the least number of moves. The second Mode is the Dog vs Dog Mode. In this mode, you have to try and reach the bone that is present somewhere in the maze, before the other dog. The other dog will also try to reach the bone, from some other side of the maze. Use the arrow keys to move across. You can also use the cursor of the mouse to move. Wherever the cursor goes, the dog will follow. Using the cursor is a better way to move across. This is because the movement in this case is more smooth as compare to the other case. When you use the arrow keys to move, you will move one step on a button push, which is a lot slower than the movement done using a cursor. Also check Pumpkin Jumpin Free and EVAC. 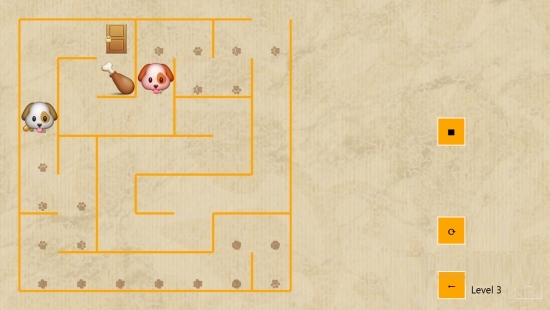 Dog Maze Race is a nice Windows 8 Maze Game, with easy controls and a nice game play. You can definitely give it a try.